The holiday season is here and that means it's time for Familia and spending time with them. With the cold weather upon us it's always great to have family movie nights. Elena Of Avalor Season 1 is now available on DVD, just in time for Christmas and the Three Kings Day. This would definitely make a great stocking stuffer for any little princess in your life. In honor Of Elena Of Avalor coming out on Dvd we thought it would be great to have a fun family night that involved crafts and movie watching. With Valentina being still a little bit too little to use scissors, I thought she would have the most fun decorating her own handmade ornaments. The materials needed are easily found at your local dollar store or craft store, such as Michaels. But if you have little ones who already love arts and crafts then you will surely found these supplies in your crafts stash. Fold your construction paper into even and uneven squares, then with your scissors cut out triangles, skinny and fat ones. After taking your time to cut out triangles into each folded up sheet. When you are done you can then unfold your construction paper, each one will have it's own unique design making even more special. Make a little hole on the top with the scissor and slide the ribbon through it. You will be able to hang it from your Christmas tree or use as a wall decoration. I poured some Modge Podge into a cupcake liner and grabbed a burst, it would be easier for Valentina to spread the glue on the ornaments. After covering our ornament with modge lodge it was time for the best part. 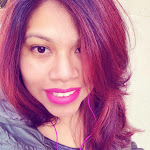 Covering it with glitter, just make sure that you are ready for all the sparkling going on. That christmas tree was a special request from my husband, I mean what's Christmas without a Christmas Tree. It was a fun night with the familia making ornaments and making memories. We were then able to sit down and watch Elena Of Avalor from the comfort of our couch. But first open some very special Elena of Avalor packages! A fun guitar that your child can actually play, it comes with it's own guitar pick. It also plays 3 songs from the Elena of Avalor show. Beautiful Elena doll that plays the theme song when you press the pendant around her neck. Valentina has been taking Elena with her everywhere. She also comes with little accessories like her earrings and her bracelet, just make sure to keep your eye on them because they are tiny and can easily get lost. Make sure to check out the blog for an unboxing video, there you will see Valentina's reaction when she sees the toys she received. This holiday season make sure to grab a copy of Elena Of Avalor the First Season and some fun toys now available from Disney and Jakks Pacific. Now for some fun news. One lucky reader will win an Elena of Avalor First Season DVD. 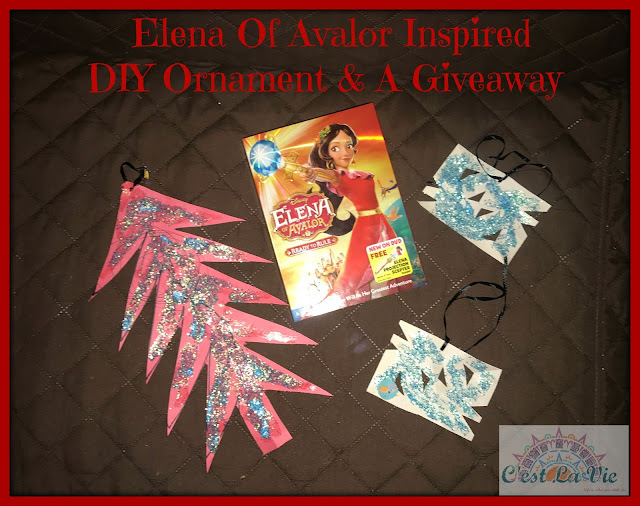 1 comment on "Elena Of Avalor Inspired DIY Ornament & A Giveaway"